Since the beginning of the existence of mankind, one thing has been paramount: the desire of ambitious people for happiness, well-being and success that arises from optimal peak performance. For long, from the stone age all the way to our current civilized societies, we have succeeded in misunderstanding what true success, quality of life and fulfillment means. We have frequently pursued the one thing that has been paramount in all our desires the wrong way. These words: quality of life, success, purpose, happiness, relevance, and significance are all big words for one thing, and that thing is this: we all desire to be our best in all that we do, we desire to live life to the full – in short, we desire the fruits of optimal peak performance in our everyday life. In trying to attain this much wanted optimal peak performance, many methods have been applied and actions taken: while some persons have devoted their lives entirely to spirituality, meditation and the inner self, others have dedicated themselves to amassing wealth and fortunes. Players in these two parties have often failed to get the true peak and quality of life that they desire. While the spiritualists tend to spend their life in meditation, searching for inner peace, enlightenment, and true self, the other party chases fortunes in a never-ending pursuit of ego satisfaction. All too often, at the end of the day, neither party has much to show from their endeavors and pursuits. The spiritualist’s moments of peace often fall short as the quest for egoless enlightenment is rarely achieved, and the fortune seekers feel unfulfilled even with their riches. Attaining the quality of life that you desire and achieving success and happiness in life is challenging but not impossible. In a Forbes article, October 2014, David K Williams likened this to going on a biking trip: to ride fast, one must ride light, exposed to life and the elements. In biking as well as in life, you must keep moving forward to overcome challenges. Consistent with this, we need to acquire and blend the happy, calm, alert and bold disposition arising from spirituality party with the goal setting and achievement strategies of the success party. Attention to spirituality helps ensure that goals are authentic and that each task is carried out in the present without distraction. Attention to success factors includes clarity and commitment and priority task scheduling as well as optimizing rest, sleep, exercise, and diet. Building resilience can arise from both spirituality and success practices. Indeed, we all fall off the proverbial bike from time to time, and this event can represent a crossroads in our journey. After a fall, we can choose to sit in the middle of the road and tell the story of falling off the bike over and over and let life pass us by – or we can choose the other alternative instead and get up from the ground, brush off the dirt of falling and failing, head up the road, and be grateful for the learning experience. To lead an accomplished and fulfilled life and attain optimal peak performance requires more than just intelligence or talent, it requires attention to both spirituality and success factors. 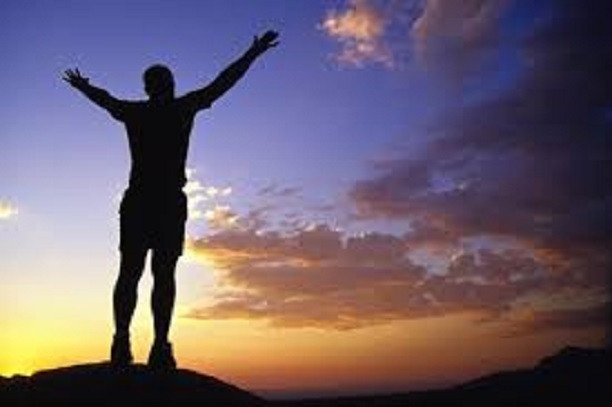 While we have parties, who adhere to just one set of knowledge and engage in only one set of activities to achieve their dreams and life purpose, in Peak Performance, Alan Sullivan has made a perfect picture of how spirituality and success principles are intertwined for peak performance and achievement of quality of life and happiness. This article was first published on huffingtonpost.com.